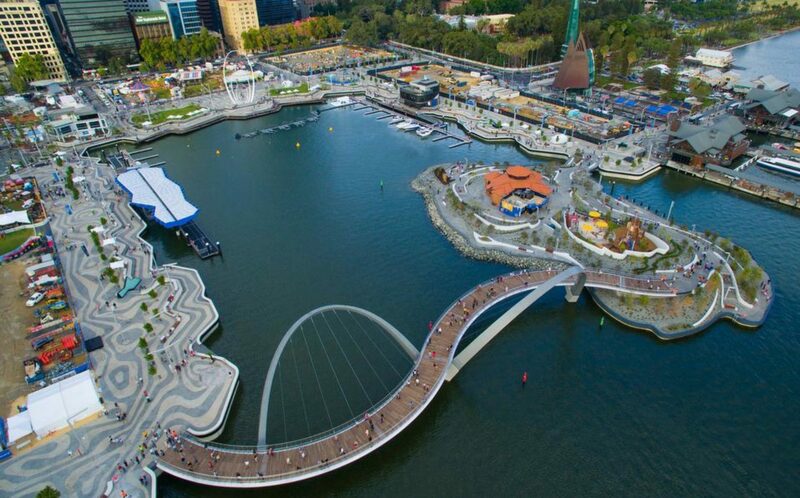 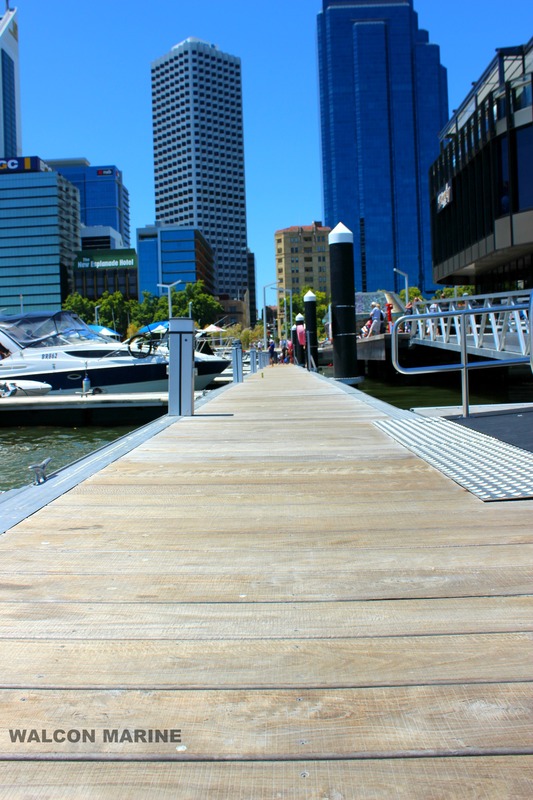 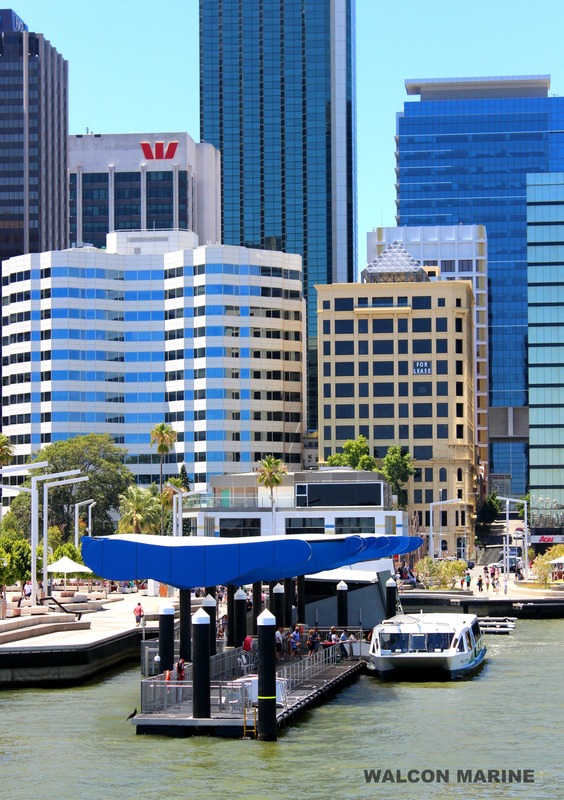 Elizabeth Quay is a landmark waterfront redevelopment which connects the Perth city with the Swan River. 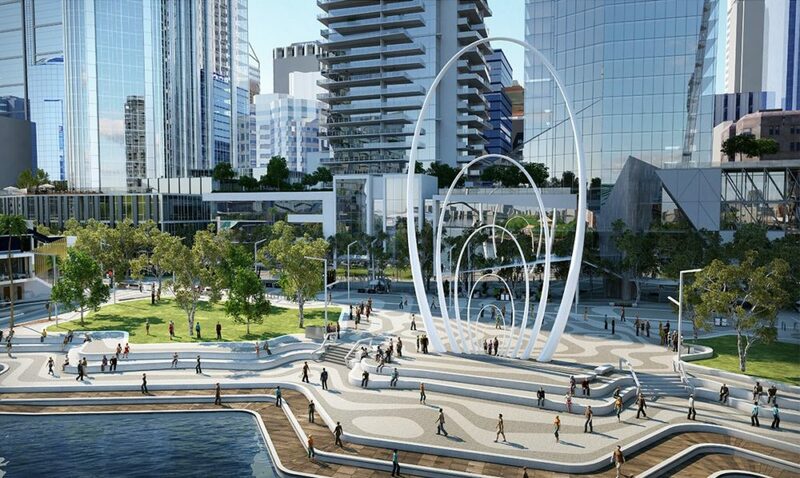 This dynamic entertainment and leisure precinct is set around a stunning 2.7 hectare inlet. 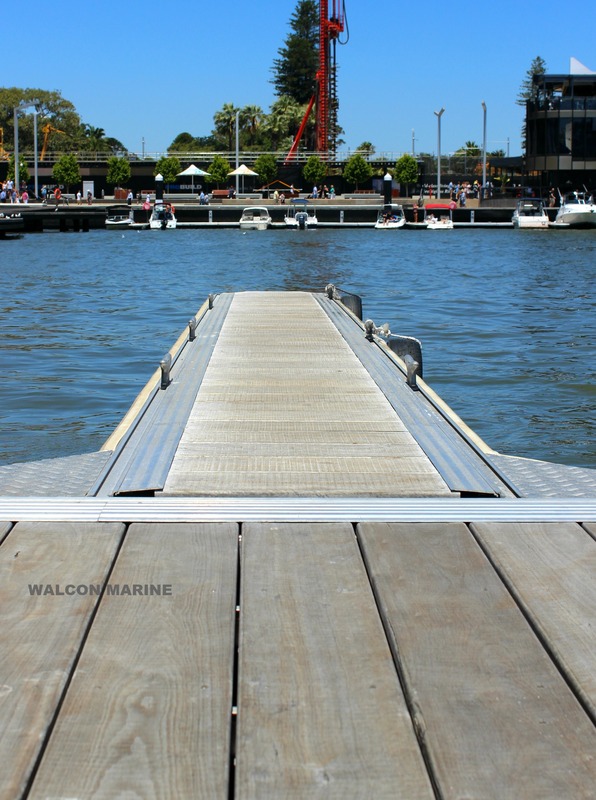 Walcon was honoured to be awarded the contract to design, manufacture and install the Ferry Terminal and short stay Jetties. 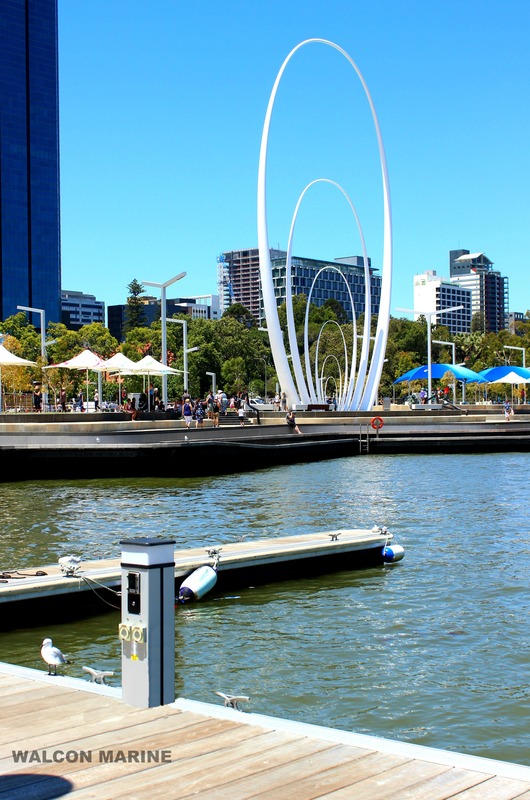 This prestigious project on the Swan River is a showcase attraction for Perth, generating millions of dollars for the tourism industry, particularly during the summer months. 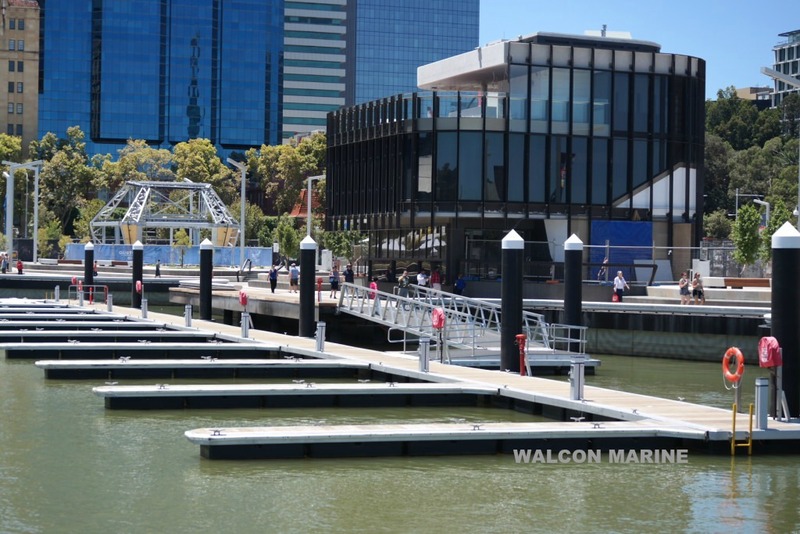 As a result, Walcon Marine Australasia is proud to have been involved in such a high profile, economy boosting project.